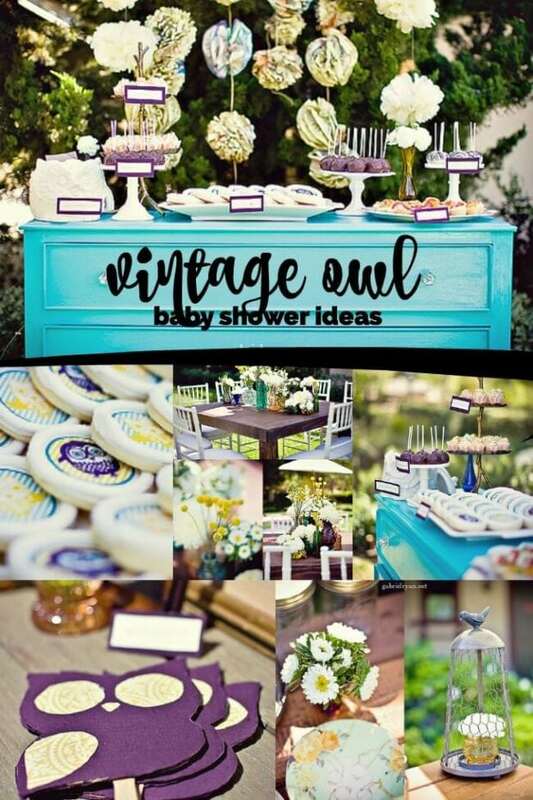 Get swept away by the vintage details in this owl themed boy’s baby shower. 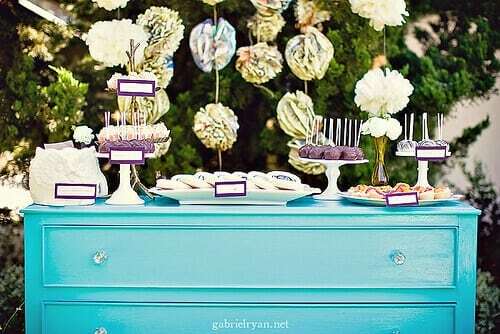 Beautiful hues of turquoise, purple and yellow combined perfectly to bring a classic elegance to this event. With handmade and hand-delivered invitations, gorgeous décor, thoughtful party favors and an inviting dessert table, this baby shower is overflowing with creative, carefully executed details. 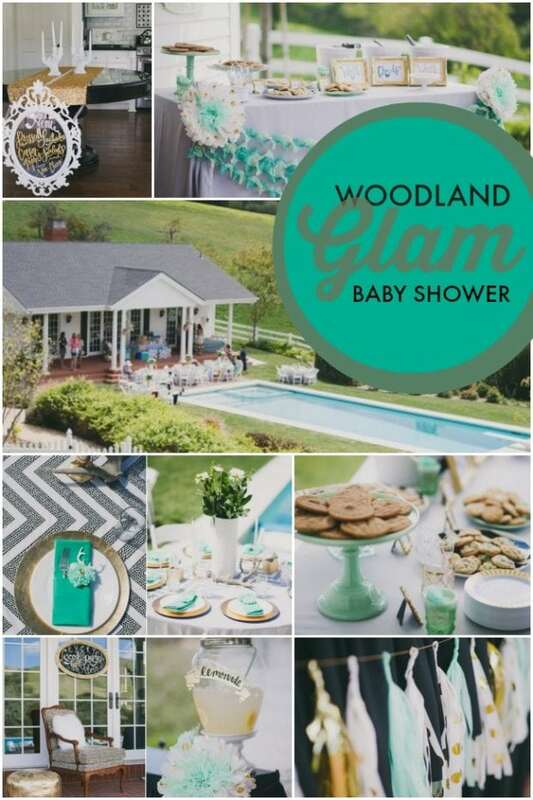 Be sure to have a notepad nearby to jot down all of the breathtaking baby shower ideas! Jesi Haack, of Jesi Haack Design, curated such charming ideas for a unique twist on the owl baby shower theme. From the moment guests arrived, their comfort and enjoyment was at the heart of every thoughtful detail. 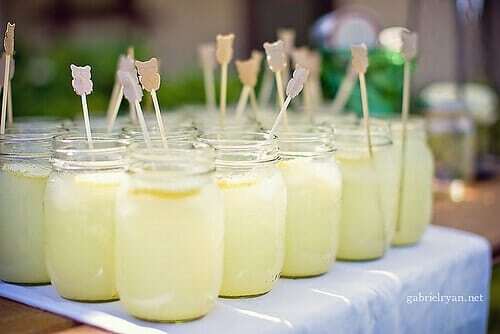 Guests were greeted with a table display of refreshing lemonade, beautifully served in mason jars that were topped with mini owl images. Nearby, a handcrafted desk was conveniently placed, displaying a customized photo-guestbook for signing. 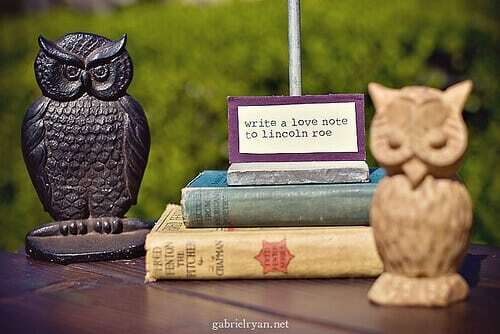 With carefully stacked books and a few perfectly placed owl figures the theme was obvious, but not glaring. 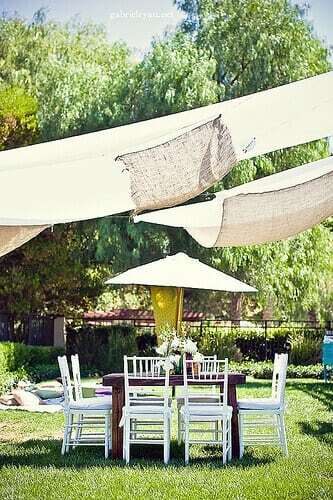 Burlap and fabric panels were hung above the seating area to offer comfort and style. Handmade, owl-shaped fans added cool-down whimsy. 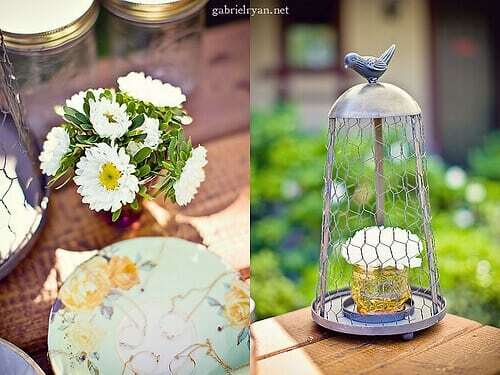 These are great DIY ideas for adding that extra-thoughtful touch to show guests you truly appreciate them. 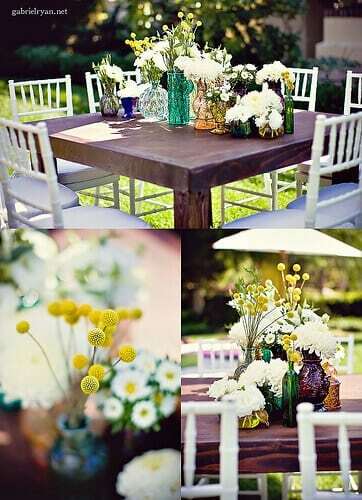 Stunning monochromatic floral arrangements by JL Designs were paired with pretty colorful vases. They made perfect, understated centerpieces. 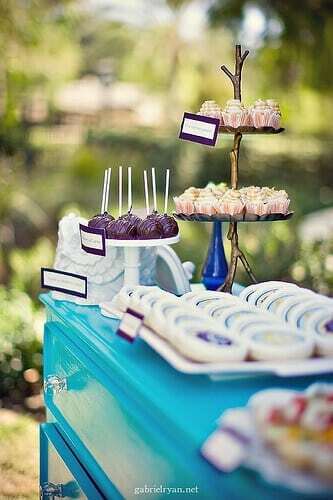 Of course, the dessert buffet is always a popular attraction at any baby shower. Attractive desserts by Sweet and Saucy Shop were enticingly displayed against a background of delicate tissue paper flowers by Lady Vintique. Offerings included mini candy bar cupcakes, carrot cake and red velvet cake pops, mini fruit pizzas and darling owl-shaped sugar cookies. The variety of serving dishes added appeal to the eclectic display. If the focus on hospitality wasn’t enough, each guest was also presented with a lovely piece of handmade jewelry as a special “thank you”. What a lovely way to celebrate mom and baby-to-be!